If you’ve ever dreamed of working on the business side of the music industry, today is your lucky day. The Financial Times recently reported that the Music Industry MBA is the new Rock’ n’ Roll and Billboard has released a list of the top elite music business schools shaping the music industry. 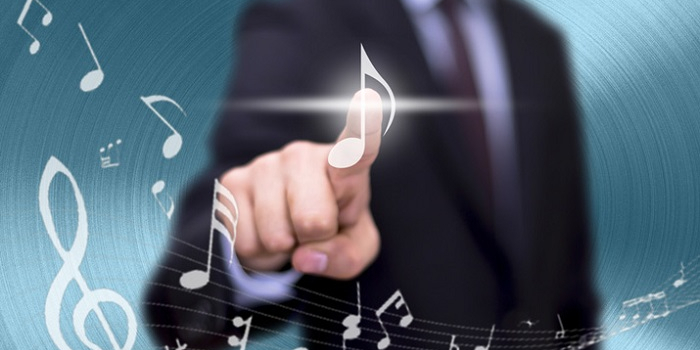 Demand for music business professionals with an advanced degree is growing, so a number of respected colleges and universities now offer MBA programs with a focused concentration to help prepare graduates for success in this competitive industry. Just a few standouts include Cotsakos College of Business at William Paterson University, Jones College of Business at Middle Tennessee State University, and the School of Business at Southern New Hampshire University. Two crucial components of this and other MBA in Music Business programs is the capstone course and internship. Both components provide the opportunity for students to apply what they’ve learned in the classroom to a real music business setting. Head down to Jones College of Business at Middle Tennessee State University (MTSU) in Murfreesboro where you’ll find both undergraduate and graduate degrees in Music Industry and Music Business. Music Industry is one of the schools leading undergraduate concentrations, while Music Business is one of three unique concentrations offered to students pursuing an MBA. Concentration courses for the popular 36 credit hour program include Applied Recording Industry Research, International Popular Music, Recording Industry Economics and Emerging Business Models, International Entertainment Transactions, Legal Rights of the Creative Individual, Business Ethics, and Seminar in Negotiation. Southern New Hampshire University (SNHU) and Berklee College of Music have joined forces to offer America’s first fully Online MBA Program in Music Business. The program is built around the traditional SNHU MBA curriculum, complemented by business courses that are specific to the music industry. They include Music Business Structure and Strategies, Music Business Finance, Music Marketing Strategies, and Music Business Leadership and Ethics. This self-paced program can be completed in just 15 months, with two courses per 10-week term. Graduates will receive a diploma from Southern New Hampshire University noting the concentration from Berklee College of Music. Graduates of MBA in Music Business programs go on to work in a variety of careers in the music industry including Entrepreneur, Music Marketing Manager, Music Supervisor, Booking Agent, Music Distributor, Artist Manager, Tour Manager, and PR Manager, to name a few. Applefeld-Olson, Cathy, and Thom Duffy. "12 Elite Music Business Schools Shaping the Industry's Future." Billboard.com. Billboard, 10 Oct. 2016. Web. 25 Oct. 2017. "Business Administration M.B.A." Jennings A. Jones College of Business. Middle Tennessee State University (MTSU), 23 Oct. 2017. Web. 25 Oct. 2017. "Master of Business Administration in Music Business." Berklee College of Music. Berklee College of Music, Sept. 2017. Web. 25 Oct. 2017. Moules, Jonathan. "A Music Industry MBA Is the New Rock ’n’ roll." Financial Times. The Financial Times Ltd., 11 Dec. 2016. Web. 25 Oct. 2017. "Music Management MBA." Cotsakos College of Business. William Paterson University, 2017. Web. 25 Oct. 2017.